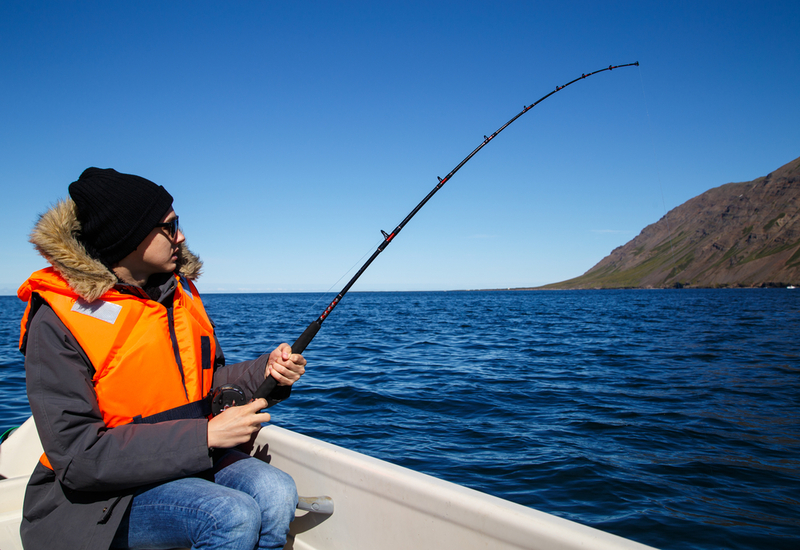 Alaska is known for its plethora of fishing opportunities throughout the state. With scenic locales and an assortment of species to catch, each spot provides fishing enthusiasts with different choices, depending on the season. For Anchorage, here is a breakdown and what you can expect to see each season. Peak salmon fishing occurs from May to September with King Salmon season starting in mid-May and ending in July or early August. Red Salmon can be seen mid-June to mid-August while Silver Salmon pop up in July and continue into early Fall. The salmon species offering the smallest peak window are Pink and Chum varieties. Their run only lasts from mid-July until mid-August. For a full summer’s worth of fishing try looking out for halibut. This fish frequently appears in the waters from early May all the way to the end of September. Although most fishing is done in summer, there are a few species that can be found all year, even if their numbers are lower. Fall and winter are perfect for a fishing boat excursion for halibut and winter King Salmon. Ice fishing in winter is an exciting way to find the perfect catch with avid fishing connoisseurs spotting rainbow trout, Arctic Char, and Dolly Varden. Knowing which equipment and bait to use will make your fishing trip even more abundant. For low tide, use large, bright flies, and switch to baits and lures for high tide. If seeking out King Salmon, make sure you get a king tag since this species requires this additional step for legal fishing. If you seek halibut, find a sturdy, well-balanced rod. Make sure it’s lightweight but powerful, and find rounded halibut hooks for the best bite. Halibut like deep waters, so your equipment should reach a couple of hundred feet down. Located in Auke Bay, AK, Big Jim’s Charters has private charters and fishing boats for everyone. Whether you’re looking for a relaxing sightseeing tour or you want to check out the area’s top salmon fishing, the experienced team has an excursion for you. To learn more about their fishing opportunities or for more on their charter packages, call (866) 244-5467 or visit them online.